The star attraction of our 2014 Collection was designed by the beloved Founder and First Lady of Park Lane, Shirley LeVin. 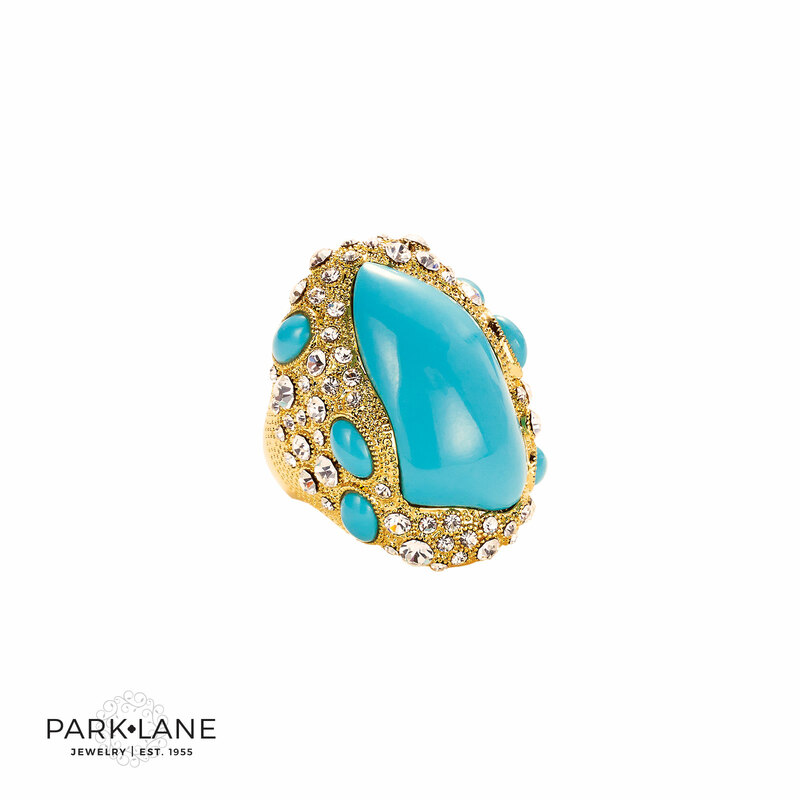 A masterpiece of design and detail, elaborate stippled gold is sprinkled with faux diamonds and features a large simulated turquoise gem. The spectacular pendant is suspended from a golden chain. The jaw-dropping ring spans knuckle to knuckle. “Lady Shirley” is quintessential Park Lane! Austrian crystals. Necklace 16”+3”ext.